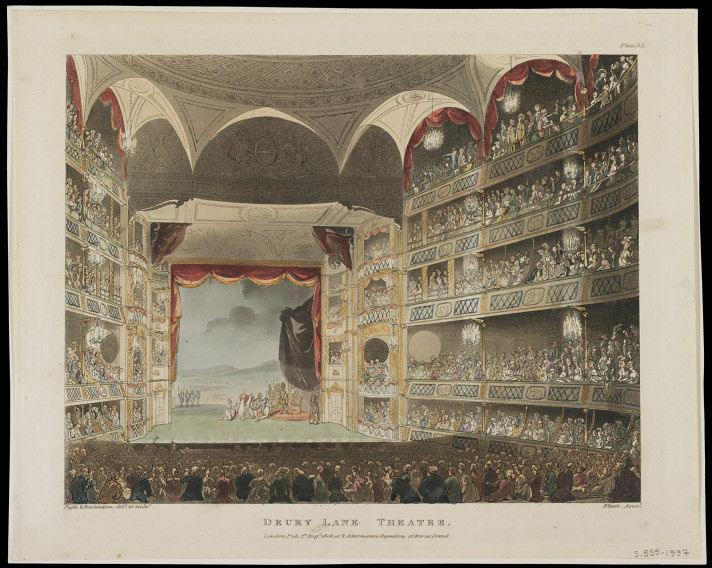 Aquatint drawing depicting the interior of the Drury Lane Theatre during a performance of Macbeth, London, 1808. 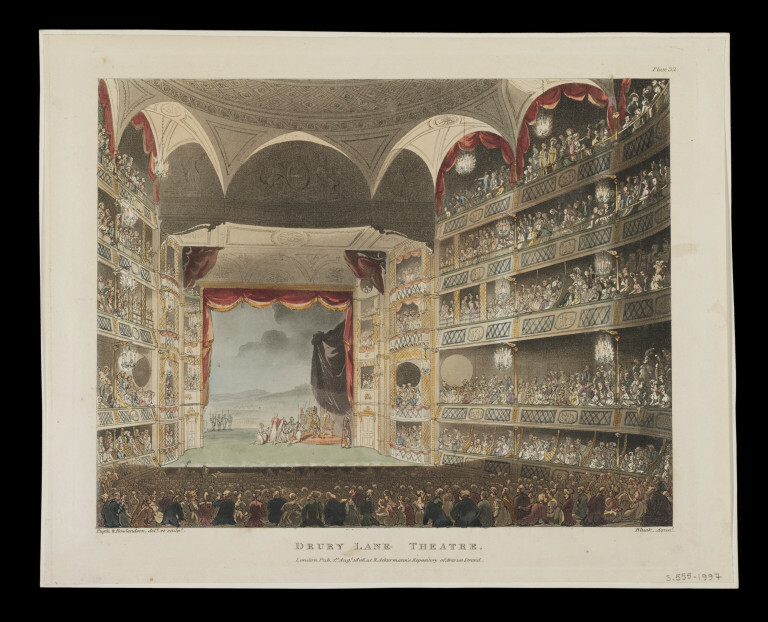 Aquatint drawing depicting the interior of the Drury Lane Theatre during a performance of Macbeth, London, 1808. 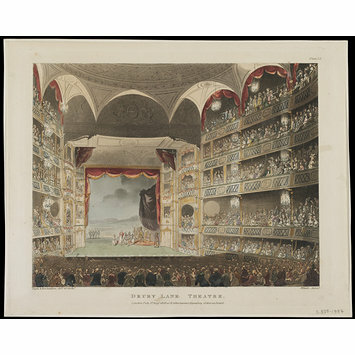 It features an overview of the stage from the point of view of the audience who are also shown seating in the stalls and in the boxes which line the curved walls. Associated production: Macbeth. Drama by William Shakespeare. Actors - Sarah Siddons as Lady Macbeth, John Philip Kemble as Macbeth and Charles Kemble as Malcolm.